BRING US AN OFFER! 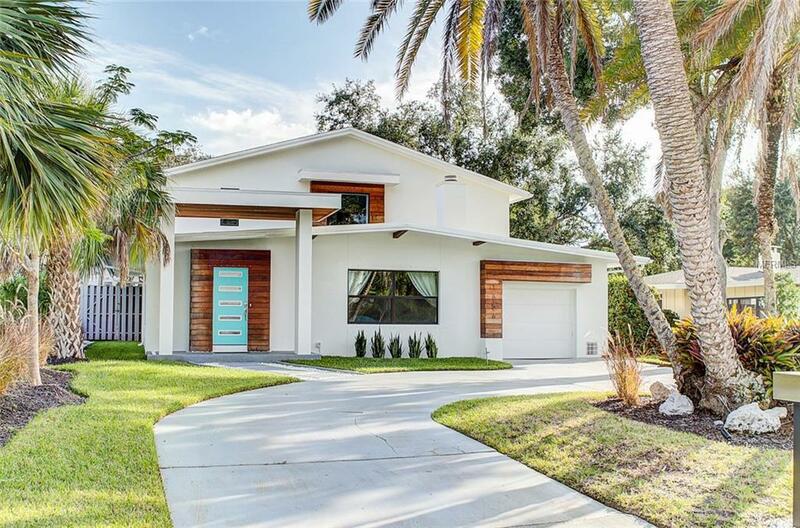 This gorgeous home is positioned in one of Sarasota's most desirable and sought after communities in West of Trail, McClellan Park. It offers over 3,300 sq ft, 4 bed, 3 1/2 baths and countless, meticulous finishes. This gorgeous pool homes was originally built by Ralph Twitchell and expanded in 1989. It is larger than it looks from the street! The bright, open floor plan features an inviting kitchen with hand stained island and plenty of space to entertain. The kitchen is open to the dining and living room featuring a wood burning fireplace. There are 2 bedrooms with a Jack n Jill bathroom conveniently located on the main level. On the second floor along with an additional en suite bedroom and large loft, the master bedroom boasts an over-sized walk in closet, state-of-the-art walk in shower and separate stand alone soak tub. From the hand crafted master balcony, one can look over the green space with sparkling blue pool, pergola and new bench with fire pit. This is Florida living is at its best, with established trees peaking in through windows. Privacy abounds as you will have no back neighbors and green space on one side. The large circular drive plus garage will accommodate you and all your guests. Location is everything! This home is close to Southside Village, Selby Gardens and Sarasota Memorial Hospital to name a few. You can take in the beautiful sunsets over the Bayfront nearby or a short drive to Siesta Key and Lido Beaches. Check out the 3D tour of the property!